Has anyone managed to successfully get a decent simmer going with the Evernew stove? I've tried about 10 different homemade designs (usually revolving around an empty can) and they've all been pretty crappy due to the diameter of the can not matching up with the Evernew. 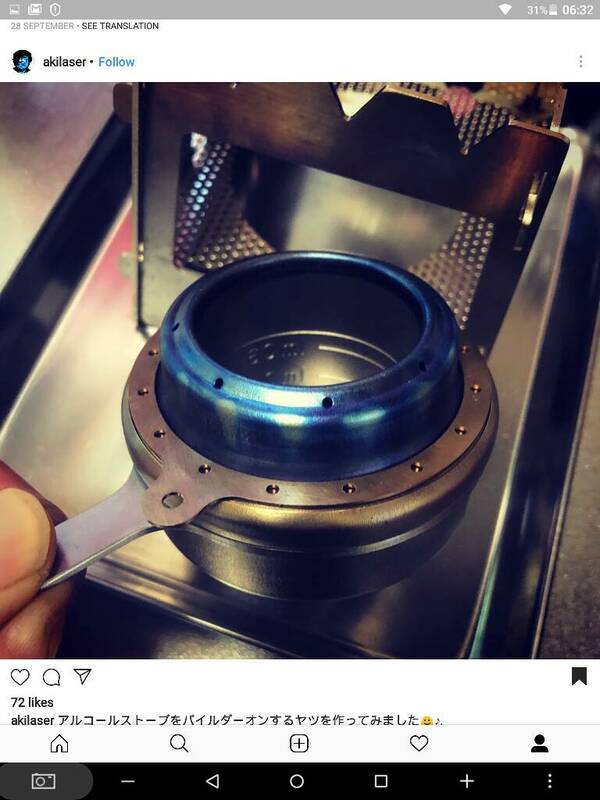 Was wondering if anyone has tried the Trangia simmer ring on the Evernew stove, and if so how well does it fit? I used a tatonka over the trangia simmer ring to tame the evernew flames of fury...I'll try & get a pic for you, not a great fit though. With my stove & windscreen combo I had better control with the tatonka. The Trangia fits better though, but in my case, with the screen, it overheated the stove fuel & produced bigger flames not the controlled simmer i was after. Last edited by ofuros on Wed 28 Nov, 2018 9:47 am, edited 2 times in total. Your not the only one trying to tame the beast and make it more versatile. I haven't yet tried this yet but it looks like a simple solution from the BPL forum. After moving from my Trangia stove I missed the simmer ring. 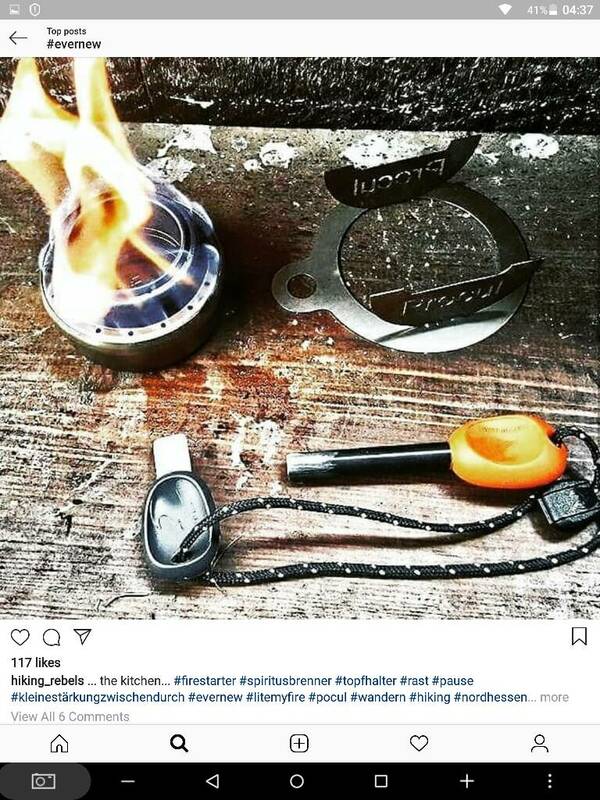 The Trangia simmer ring would not work with the Evernew stove DX kit or the Ti pot stand. This one does for both and minimal weight to add to my kit. Since it is smaller diameter than the stove it will fit down in the DX kit. I flared the bottom of the can to fit inside the outer ridge of the Evernew stove and found an opening size that allowed the same simmering I was used to with the Trangia. ofuros wrote: The Trangia fits better though, but in my case, overheated the stove fuel & produced bigger flames not the controlled simmer i was after. Looks like a good fit actually, but yeah I had the same issue with some of the DIY can projects. Burnt through fuel much faster than I was anticipating and just wasn't an ideal solution. ofuros wrote: Your not the only one trying to tame the beast and make it more versatile. simonm wrote: I haven't yet tried this yet but it looks like a simple solution from the BPL forum. Just for fun, try adding some water ( a few drops) and see what happens. So I caved and bought a Trangia 27-8 (the HA pots and pan and UL windscreen + kettle). I stopped using my evernew because the inferno made me nervous!